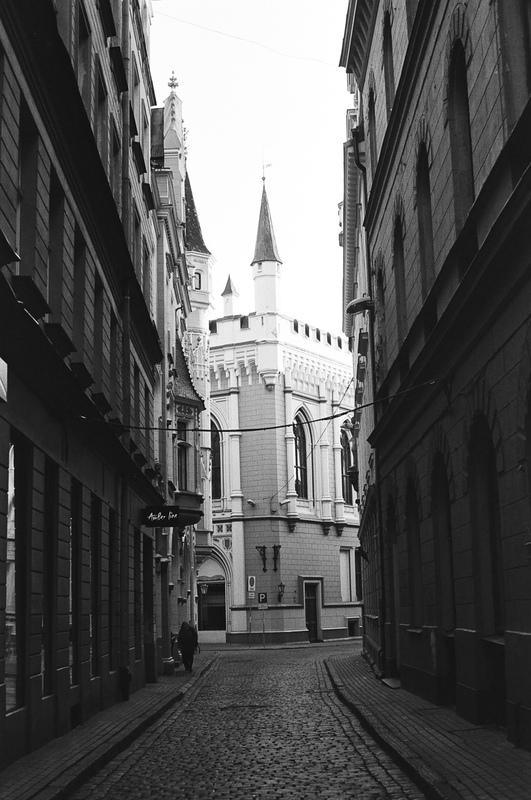 This follows on from this post, when I recently had another trip to Riga. I decided to shoot the entire trip on film, something I had never done before as I am still getting used to film photography. I was really happy with how the colour rolls turned out, and if anything, I’m even happier with the black and white photos. I simply love the tones you can achieve with film. These were taken using Ilford HP5 and Kodak Tri-X (pushed to 1600). 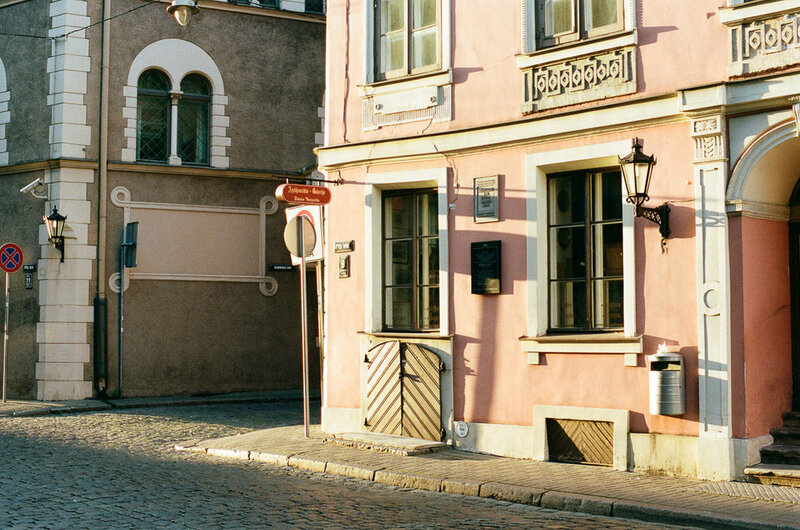 I've been to Riga many times before, and it's a place I always enjoy walking around, especially the historical centre. For this trip, I was there on business for four days. 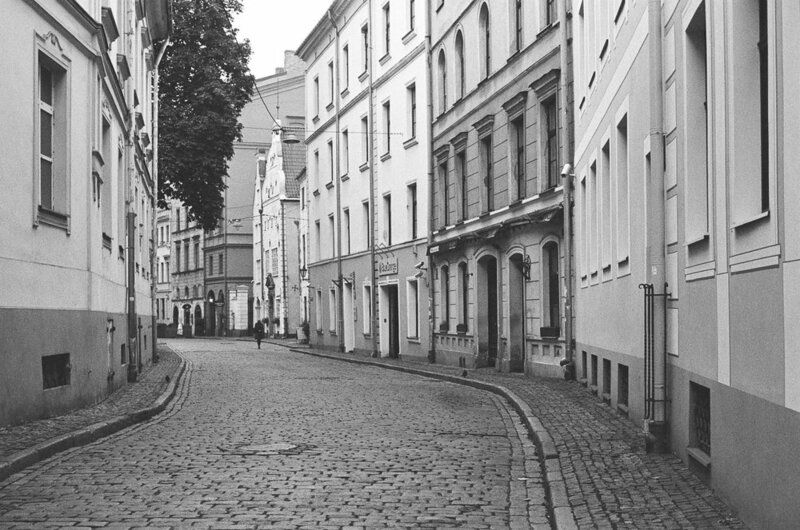 Luckily I was able to stay right on the edge of the main central area, so every morning and evening I had the opportunity to explore the narrow streets. This was the first trip where I shot almost entirely on film. I had only ever finished two rolls of film prior to this trip, so I'm still very much in the learning stage! Despite this, I'm really happy with the photos, and I'm glad I took the risk and captured my experiences on film. The weather was absolutely perfect, I couldn't have been more lucky! I literally did not see a cloud for the first few days. Perfect conditions for making the most of the fantastic colours of Portra 400. On my last day, the weather turned. The perfect blue skies replaced with a thick blanket of fog. Again, this was perfect timing as I had ran out of Portra film the night before and had just loaded Kodak Tri-X. The foggy streets were perfect for black and white photos. I'll post these separately. 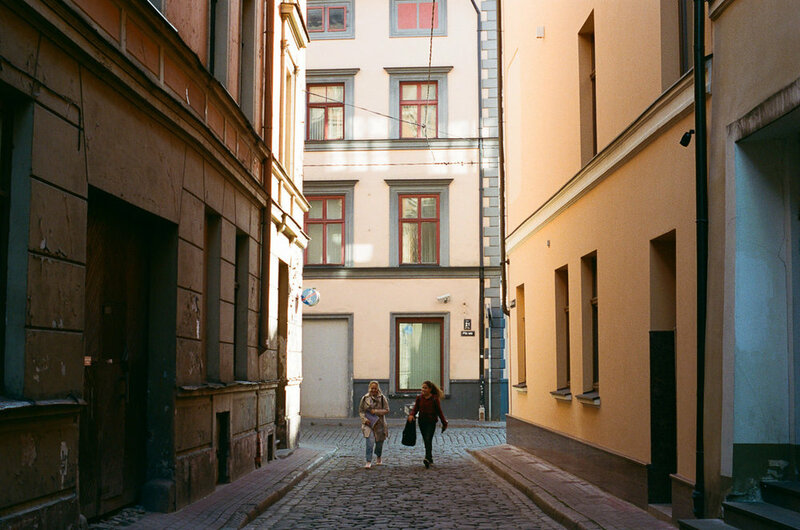 All of the following colour photos were shot on Portra 400, with an Olympus OM-4 Ti and 50mm f/1.4 lens.